The Ford Escape was the first Ford hybrid and the first hybrid SUV to hit the market. That was 15 years ago, and Ford has been sitting out seven model years with no Escape Hybrid in the lineup. With the introduction of a new 2020 Escape, Ford is bringing back this model, which once had a very loyal following from taxi companies, public agencies, and politicians (President Obama drove one); and it’s introducing a 2020 Ford Escape plug-in hybrid. Ford’s hatchback model that carried the green torch until last year, the C-Max Hybrid (and C-Max Energi plug-in) has been swept away as part of the automaker’s pivot away from passenger cars. 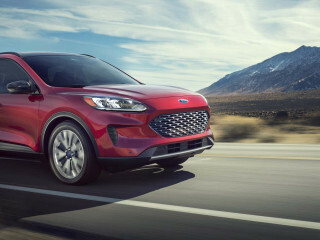 The 2020 Ford Escape Hybrid and plug-in hybrid both get a 2.5-liter inline-4 with the latest version of Ford’s planetary torque-split hybrid system, employing two motors. The hybrid is estimated to make 198 horsepower, and the plug-in hybrid 209 hp, which puts these two models between the base 1.5-liter turbo-3 and upper-level 2.0-liter turbo-4 gasoline engines in the other models. The plug-in hybrid has a substantial 14.4-kilowatt-hour battery capacity, which Ford claims should assure 30 miles or more of all-electric range. 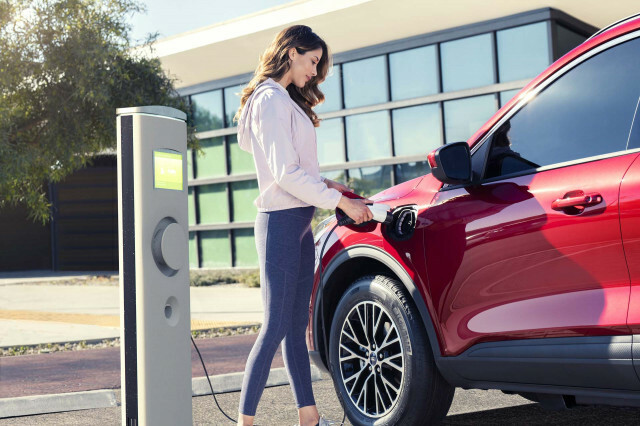 Ford says that the plug-in hybrid Escape can be charged with a Level 2 (240V) charge point in just 3.5 hours, or by plugging into 110-volt household current in 10 to 11 hours. In addition to the Auto EV, EV Now, and EV Later modes, Ford has added an EV Charge mode that allows drivers to charge up the battery—with an obvious and likely very significant drop in fuel efficiency—so that all-electric range can be used later. Ford hasn’t yet revealed mileage for the new Escape; but it says that the front-wheel-drive hybrid is good for an EPA-estimated range of more than 550 miles. 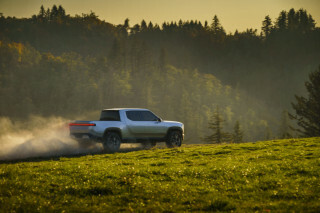 In that form, the hybrid could match the 39-mpg EPA combined rating of the Toyota RAV4 Hybrid. One other key difference: Hybrid models offer a choice between front- and all-wheel drive. 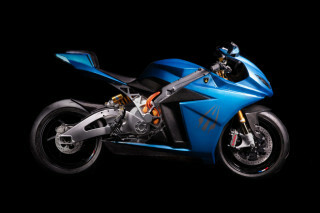 For now, if you want the plug-in you have to stick with front-wheel drive. Most 2020 Escape models include an 8.0-inch touchscreen with Apple CarPlay and Android Auto compatibility, as well as Alexa and Waze integration. There’s a 12.3-inch digital instrument cluster with graphics that show which of many drive modes you’re in. The front portion of the center console has a charging pad, and the Escape includes Type A and Type C USB ports. A robust suite of active-safety features is included, and full-range adaptive cruise control and an active parking system are among the options. The new Escape Hybrid offers two trim levels, SE Sport and Titanium, while the Escape plug-in hybrid comes only in top SEL and Titanium trims. The current 2019 Ford Escape starts at $25,200 and ranges up past $37,000 for a fully optioned Titanium 4WD. Expect the plug-in to be priced higher, but eligible for the federal EV tax credit and other incentives. The Escape and Escape hybrid will arrive later this year and be assembled in Louisville, Kentucky. 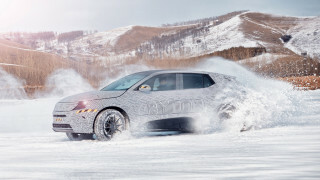 The plug-in hybrid will arrive in spring 2020.